Oh I forgot in my excitement, CONGRATS to all the other winners. Thank you so much Anker. I will be waiting for the mail and to get my new head phones. I can't wait to try them out and post my reviews. 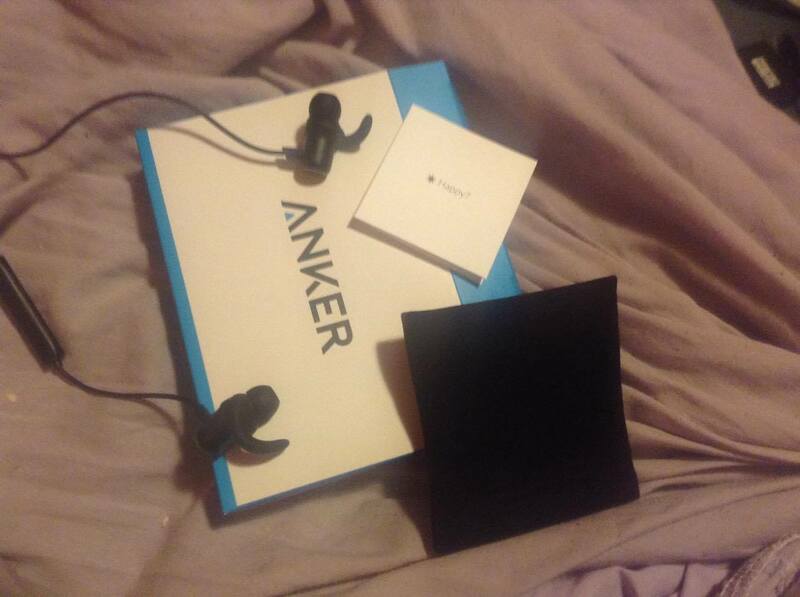 Thank you so much Anker! This is the first time I've won anything. I'm excited to try these awesome looking headphones. Then I need to find out where I can leave a full review of them but I'll get a hold of you for that. Thanks again! Congrats to the winners and enjoy your new sound toys. Yeah!!!! So happy! Thanks Anker. Thank you! Could you please look at the message I sent you. Thanks so much! Congrats winners! Thank you Anker, I can't wait to try out these soundbuds and give my input! They will definitely come in good use for me! Just got my headphones, spent a day getting used to them, have to provide a quick review. Great weight. Feel well made. I have four pairs of bluetooth headphones and they all feel a little cheap. These feel great. Sturdy. Good sound as well! Thanks again Anker, will finish the proper review soon! I must say that despite not being impressed with the SoundBud Sport model I tried a while ago, these are certainly a better set of earbuds. I think the lightness certainly aids the fit issues I experienced with the Sport version. Received the prize! Super fast delivery through Amazon! I've been putting them through their paces over the last few days (yet to see them lose charge, despite being connected to my phone all of yesterday) ready for a youtube review I'm planning. My channel is "evilras" if you want to find my other stuff on there. But I'll put a link to the full review once I've filmed and edited it!